I wrote “Genjitsu”. It means “Reality” or “Actuality” in English. 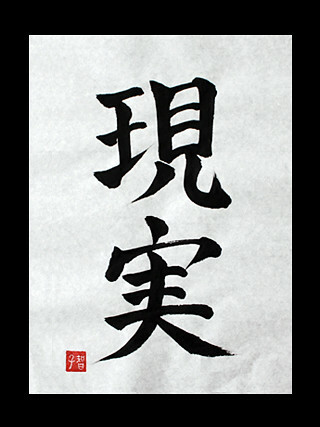 Antonym of Genjitsu are Kyokou(means fictional) or Risou(means ideals).